Product prices and availability are accurate as of 2019-04-07 04:32:23 EDT and are subject to change. Any price and availability information displayed on http://www.amazon.com/ at the time of purchase will apply to the purchase of this product. 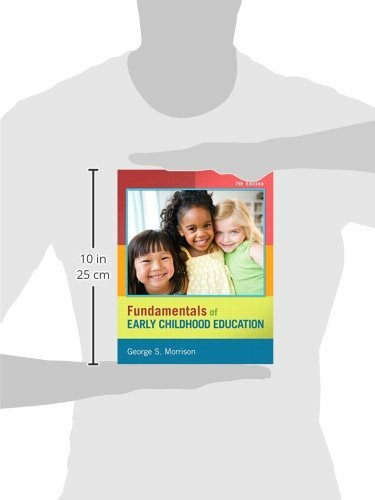 Now in its Seventh Edition, the best-selling Fundamentals of Early Childhood Education by renowned author and educator, George S. Morrison, remains keenly focused on what it means to be an early childhood professional in today’s world. Providing a brief, reader-friendly introduction to the field, it presents engaging chapter features on early childhood programs, professionals in practice, diversity strategies, technology issues, and ethical decision-making. Separate chapters on infants and toddlers, preschoolers, kindergartners, and the primary grades explore young children’s unique developmental and educational needs. Fundamentals’ emphasis on professionalism throughout keeps the focus on meeting the needs of each and every child and providing up-to-date information and strategies to develop competent, informed early childhood professionals. This thoroughly revised edition offers a contemporary, accessible, user-friendly approach to all of the major topics, programs, and issues at the forefront of the field today. 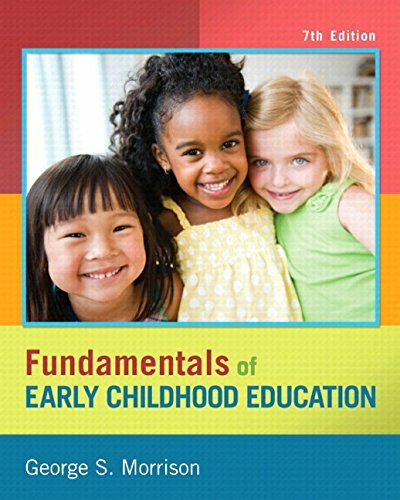 Comprehensive, yet brief, this text is a perfect resource for a variety of courses in early childhood education. The Enhanced Pearson eText features embedded video.